Pest control professionals usually specialize in the removal of insects in your home but there are some pest control specialists who will help you to get rid of the squirrels when they invade your house. The reason is that to some people, the squirrels are also classified as pests because of the damage that they cause. You will definitely see the squirrels within your yard; other signs include nesting sites in the attic, walls or under tree shades. If they are in the attic, you will hear them producing sounds especially during the day because they are very active during daytime. You will also come across their gnaw damages on woods and electric wires. Pest control officers may not be able to help with the situation especially if it severe that is why it is advisable to consult the appropriate authorities who deal with wildlife infestations. 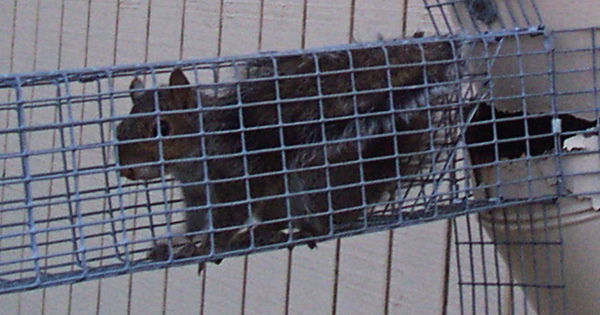 They will always use the most appropriate techniques and equipment to ensure that the squirrels have been dealt with correctly without causing any further havoc or harming them. When you seek help from professionals who deal with rodent infestation, they will first identify their entry points into the attic or where they are hiding in the house. They will then note the behavioral pattern of the squirrels in and out of the attic, which is significant because it will give the professionals the most suitable window period to capture and remove them from the attic. Sometimes it may be very easy to identify their entry points and their nests because they are equally witty. They will burrow under most of the insulation points and build their nests in the most hidden spots. In most cases, the professionals will use the exclusion procedure, to quickly identify their hiding nests. Once they identify their behavioral aspects in and out of the attic, they will come up with the most appropriate techniques that will effectively get rid of the squirrels without harming them. They will use live traps, one way door cages because are very effective because at the end of the day you will be sure that all the squirrels have been removed from your house. These professionals can also use repellents that may work to some extent. The main purpose of the repellents is to scare the squirrels away from your home; some of the common repellents include loud voices and liquids that have irritating smells. Go back to the How to get rid of squirrels home page.